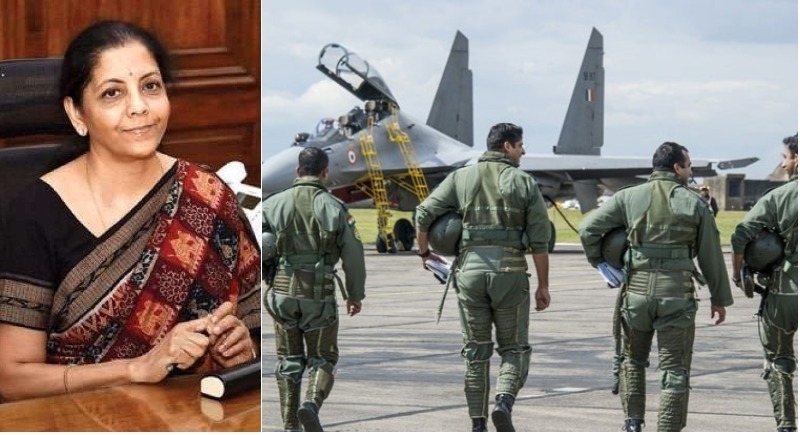 New Delhi, June 8: In a bid to fulfill the immediate requirement of the defence forces, Raksha Mantri Nirmala Sitharaman on Thursday accorded approval for the procurement of equipment for the Defence Forces valued at over Rs 5500 crore. Pursuing the goal of indigenization and self-reliance in the field of Defence Procurements, the DAC approved procurement of 12 High Power Radars for the Indian Air Force under ‘Buy (Indian) IDDM’ category. The radars will provide long-range medium and high altitude radar cover with the capability to detect and track high-speed targets following parabolic trajectories. The DAC also accorded approval for procurement of Air Cushion Vehicles (ACVs) for the Indian Coast Guard and Indian Army from Indian Shipyard. These vessels would offer a great advantage over conventional boats/crafts with their ability to travel at very high speeds over shallow water, sandbanks, mud flats and swamps which are non-navigable by boats/small crafts due to draught restrictions/uncharted depths. These crafts offer capability enhancement for the Services and would prove useful for amphibious/ riverine operations, especially where there is a requirement to move men and material from one island to another island, across the riverine terrain, creeks etc.